Like all forms of media, Black Metal and Death Metal music possess the potential to mould their consumers perception of the world around them, and, by extension, their interactions with it. Yet, despite the overtly negative nature of their subject matter, and the fact they have both generated their own distinct sub-cultures, to date they have received very little scholarly attention. 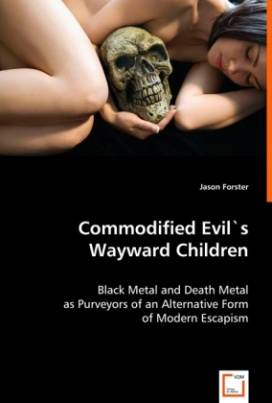 Accordingly, this book attempts to contribute to the dearth of existing literature by providing a timely analysis of Black Metal and Death Metal's divergent ideological bases, the theories and practices underpinning the composition of their lyrics and imagery, and their potential social effects and functions; while ultimately serving to situate them as complimentary forms of commodified evil that purvey an alternative form of modern escapism. Consequently, it should help to shed some light on these intriguing phenomena, and should be especially useful to both students and professionals conducting research within the fields of Communications, Sociology, Psychology, and Media and Religious Studies.